A recent conversation with a very successful oil and gas exploration operator gave me a sense of foreboding about something few of us have paid much attention to regarding the decline of Louisiana’s energy industry discussed yesterday in these pages. Natural gas pipeline companies must repair some of the erosion that has occurred since 1953 along their pipeline canals on 20,000 acres of wetlands owned by New Orleans-based Vintage Assets Inc. in the Breton Sound basin in Plaquemines Parish, or compensate the landowner for the damages, a federal judge in New Orleans ruled Tuesday (Aug. 22). If upheld on appeal, the ruling could set a precedent for how erosion attributed to other pipeline canals will be handled by both federal and state courts in other lawsuits, observers say. The decision paves the way for a trial to begin on Sept. 11 before U.S. District Judge Jane Triche Milazzo to determine how much damage was caused by the canals built by Tennessee Gas Pipeline Co. LLC and Southern Natural Gas. Co. LLC, both subsidiaries of Kinder Morgan, and by the privately owned High Point Gas Transmission LLC and High Point Gas Gathering LLC, and how the losses will be compensated. Milazzo was appointed to her seat in 2011 by President Barack Obama. Milazzo’s ruling did not indicate whether any money awarded to Vintage Assets would have to be used to restore wetland damage on the property. However, the trust that controls Vintage Assets has indicated it plans to use money it receives for that purpose. The lawyer representing Vintage Assets? 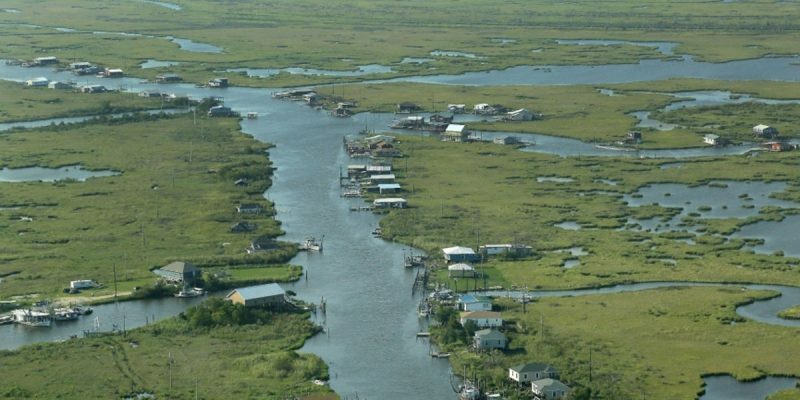 One Gladstone Jones, the lead plaintiff attorney in the Southeast Louisiana Flood Protection Authority coastal lawsuit case thrown out in a different federal court – and appealed all the way to the Supreme Court, to no avail of the plaintiffs. The chances are reasonably decent that this case will meet a similar fate. But even if overturned, per my conversation with the oil and gas operator referenced above, this case has sent a message that judges, even Federal judges, will accept this newly crafted argument. Vintage Assets is a company owned by the Perez family of Plaquemines Parish. Louisianans know well of their exploits. I am not sure that this litigation has been given much attention but the result, if allowed to stand, is an overwhelmingly devastating blow to our oil and gas industry. The ruling could set a precedent under which pipeline operators, whether the original pipeline owner or not, could be held responsible for massive sums to landowners that ironically were paid by the very same pipeline companies for years. And to make it worse the money may or may not (I suspect may not) ever be used to rehabilitate land that was claimed to be degraded. Jones claimed his clients the Perezes will remediate the land – do you want to give odds on how much of the award, if it stands, would go to that purpose? The big winner will be the governor’s trial lawyer pals who will have a profitable new precedent under which they can sue pipeline companies all over Louisiana and from which they will make millions at the expense of Louisiana. So why do we care? Well, when pipeline companies are subject to massive lawsuits resulting from decades old installations, they will simply quit building pipelines in Louisiana. No pipelines, no oil and gas exploration. No oil and gas exploration, no jobs and no state tax revenue. No tax revenue and our governor will insist that we raise taxes on other businesses and our people to feed his spending addiction. The result is a classic anti-economic growth death spiral brought on by the greed of the few who are supported by our own governor. I once made a mistake on a similar issue and now I am sincerely sorry to have caved in to a glossed-over argument. It won’t happen again. Business reads newspapers and makes plans based on their expectations of a business climate in which they will be subject to lawsuits such as this. The loser is always our people.